Hi Anil. My PERM was just certified on April 12, 2019. What is the usual time frame between getting the PERM certified and filing I-140 and I-485 concurrently? In other words, how long does it usually take before we can file those aforementioned documents? The speed depends on your Employer and attorney. Do you have a best case/worst case scenario? I assume there is a wait for receiving the hard copy of the PERM. I have seen 7-21 days as the estimate here on this forum. In a perfect world, would a 21-day period be enough to put everything together to file the I-140 and I-485? Yes, 21 days are enough to create a i140 and i485 application package. You are welcome. Congratulations and thanks for sharing your case status. Finally my Perm also Certified on 4/11. Thank you for your suggessions. You are welcome and congratulations. Thanks for sharing your case status. My PWD has been filed in November, 2018. Haven’t received any update yet. What could be the reason? No specific reason. Some cases take longer than others. My PERM was filed on Oct 17, 2018 and it was selected for random audit in Dec end. My attorney submitted the audit response in first week of Feb 2019. I still have not received the approval. For random audit cases what is the latest approval date? Please check the processing time dates for Audit cases above. So some audit cases with PD between 1st Sept and 19th Oct have been approved ?? Hi Harry, I am in the same boat as you are .. Please update here if you get the approval .. I will also keep you posted if i hear anything about my case .. PD – 31-Oct-2018 and Audit responded on last week of Jan, no response yet..! My PWD was issued today that was filed last Dec. 13, 2018. You were so right when you said to wait, thank you. Congratulations and thanks for sharing your status update. Everybody getting approvals except me. You will get very soon. Our employees some of them also waiting on same date. It is possible that your case is taking longer. It does not necessarily mean that you are being audited. 186 cases starting 18345 same as mine have been certified as of 4/10/2019, this worries me a lot, do you know when my attorney can raise a service request? 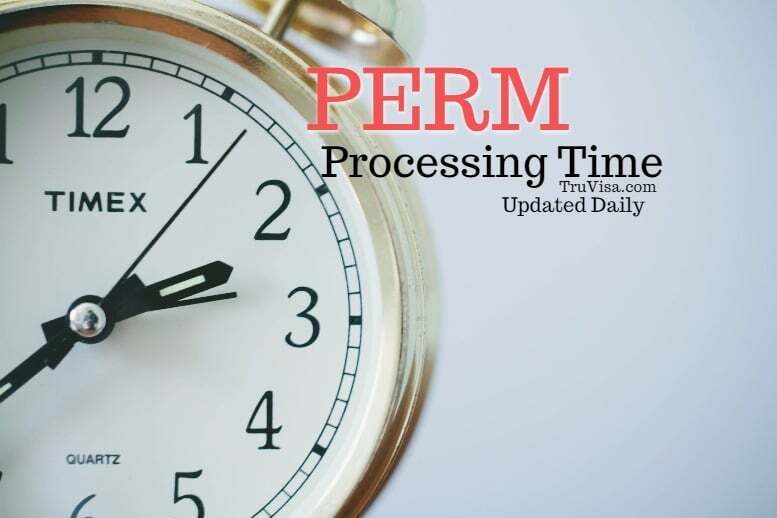 Official rule to raise service request for PERM status is 90 days after your receipt date has passed the normal processing time. Hello Anil, thank you for explaining, so my attorney can raise SR in July or August if processing time keeps the same pace like now? There are 2 wages listed on ETA form. 1- Prevailing 2- Offered. The actual salary is less than the offered wage. Should the actual salary be equal to offered salary? Perm is approved. Sorry if my question is out of context. The offered salary should be greater than or equal to prevailing wage. If my PERM application is in progress, then which of the above timelines will suit for me? I mean I am in which state? “PERM Analyst Review (Clean Cases) receipt date”? Yes PERM analyst review category if your case has not received any request for Audit. Sorry if I am asking wrong question. In the PERM analyst review, timeline mentioned above that 10 Jan 2019 case being approved. As per you these timelines are posted as per the users reported that their case is approved. But, I don’t see any case with A-19* has been approved in the iCert registry. Am i understanding it wrongly? currently I can see until A-18363 cases are approved in iCERT. Could you please clarify me. Our service checks and deletes cases that have been reported by users as approved but it cannot reliably verify them. As the data is crowd sourced, there is a possibility of error of about 10%. Our data is based on what users share themselves. The data is updated on above page every 3 hours and if the record is deleted, it will be reflected above. The data may not match with icert as users may get approval detail earlier than it is shown on icert website. 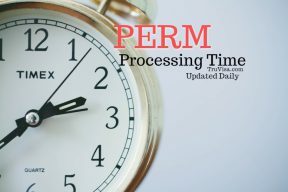 Can we check the PERM status in labor certification registry? Or only the attorney can check the status ? You can check but i think it only shows result for approved cases. My PERM was filed on Nov. 30, 2018. I received audit 2 weeks back. What could be approx. time for PERM approval from april 1st week. Please use the timelines mentioned above to estimating your approval time.